That is literally all I've been able to draw the past few weeks. 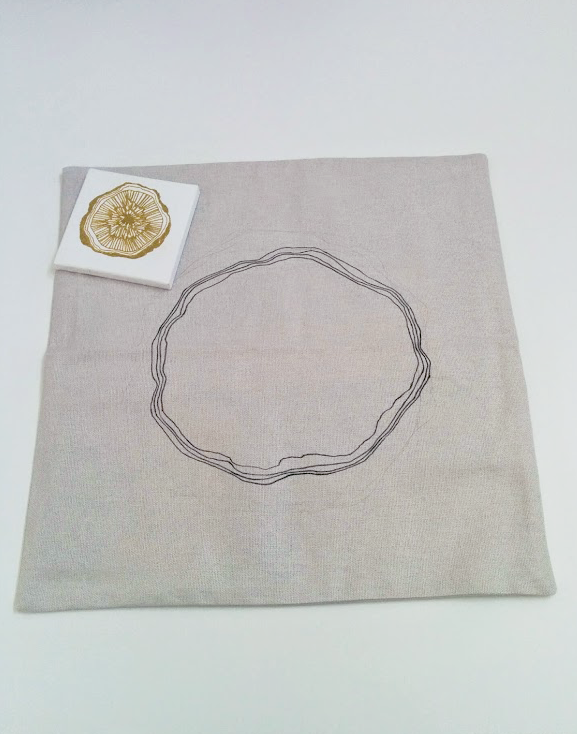 I've made sketches, small paintings, large paintings and now, pillowcases. 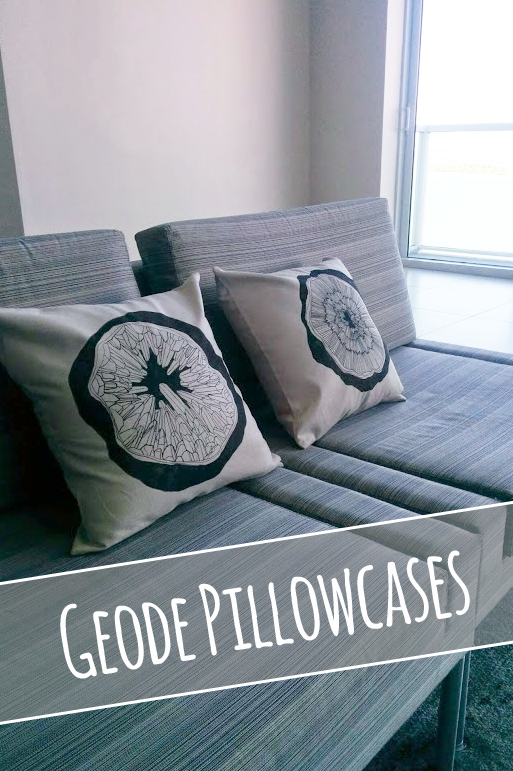 The pillowcases were more out of necessity however, as our Ikea couch pillows are starting to get a little flat and I wanted to spruce up our living area just a bit. 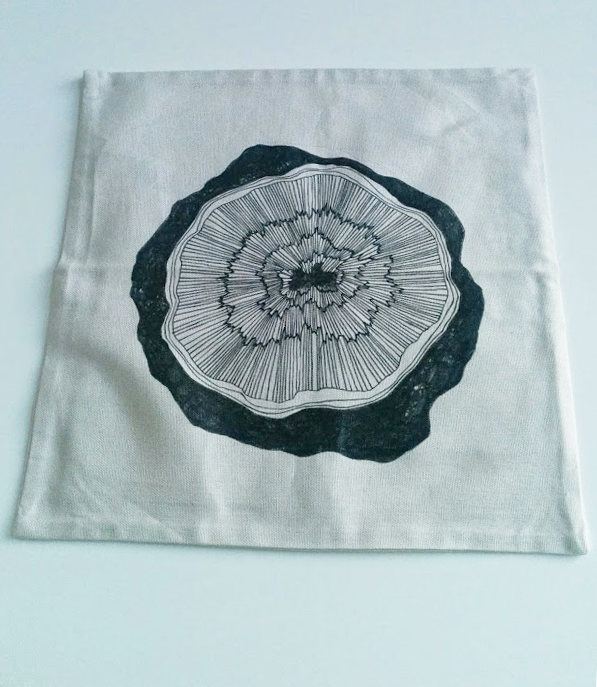 I used two of 4 geode illustrations from my set of 4 canvas paintings as a basis for the canvas pillowcases. 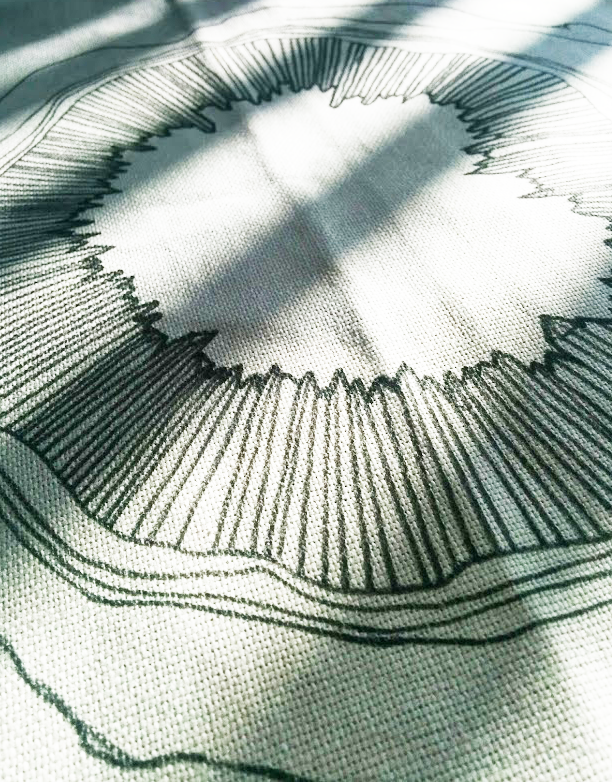 The canvas-like fabric is soft, supple and takes the ink really well. Always encouraging. For now, these guys are going straight to the couch. I'll see how they hold up to everyday use (spilled items, ferret claws, smushing by various bodies and laundering) before adding new versions to my shop. 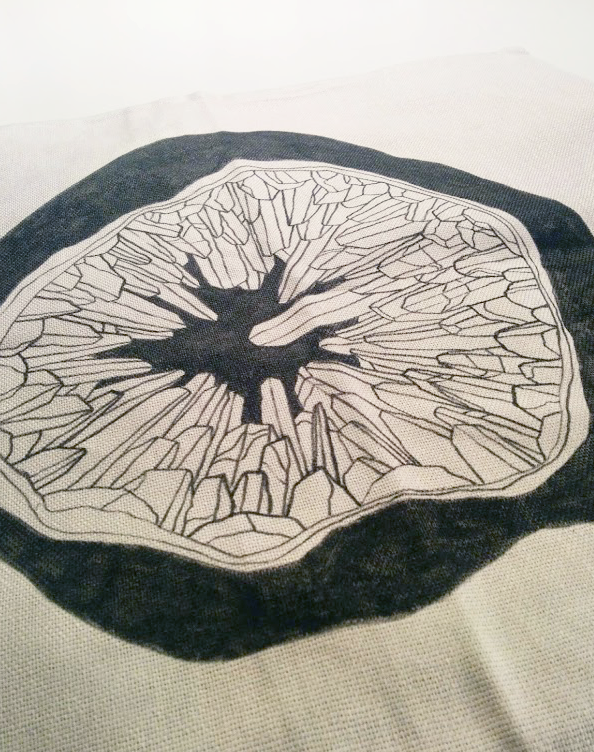 I may be off my geode kick by then too (one can only hope) and will experiment with a few new designs for the pillows. Any suggestions?